We've been using a Sony DSC-RX100 for the last few days and have prepared a hands-on preview of the 20MP, 1" sensor compact. Its 13.2 x 8.8mm sensor is over twice the size of most of its peers and, despite this being the same size as Nikon's 1 system cameras, the RX100 is genuinely pocketable. We've used our time with the camera to prepare a detailed preview, looking at the camera's key features, and have also shot a gallery of real-world samples in a variety of shooting situations. I bought a Sony RX-100 9 months ago and it took great pictures. The camera stopped working for no obvious reason. When I sent it into Sony I was told it had corrosion damage (even though it has never been exposed to water or high humidity). Saw some reviews on amazon mentioning the same problem. Interested to know if anyone else has experienced a similar problem. I got the same situation on a rx100 i bought in May. I carried the camera on the interior compartment of a large computer backpack. I walked in rain with umbrella, but the camera could not have gotten wet, if anything humidity conditions. Sony said extensive corrosion, not economically viable to fix. Offer me a 10% discount and when I refused, the Laredo Tx service center said they could offer a new one @ $300. I took the deal but very unhappy the camera could have been ruined by what seems a normal event. I then found out they came up with the rx 100 II; tried to see if paying the difference of $150 to get it but they gave me the run around and said after having already processed the other deal, there was nothing they could do. This is the last Sony product I buy, period! I would like to buy one, but, I find this annoying, because one can't leave a battery on charge at home or in the car or hotel room while out shooting. Either charge or shoot, but not both at the same time. :( Sorry Sony, I will pass..., is less 1 camera that sells. Does anyone know if this can be connected to a mains power supply whilst recording video, to save the batteries? Also, how long can the video be, in hours? until how long does the f/1.8 hold on the lens? At the end of the article, my main question is how does low level light pictures and video look? also, for a camera of this cost, its a little sad there isn't a hot shoe to put an upgraded mic or led light for video to shoot with at night. just to add some extra funtionality for the value. makes the Nex 5 or 7 potentially look like a better value because you can upgrade those or change settings more. Sony may do this in another camera in the future. But this camera was made to be small and thats what it is. Canon G1 X is to Canon G12 as Sony RX100 is to Canon S100. Does anyone dare to tell what IQ (Noise, DR) could be like compared to a 1st gen micro 4/3 (E-pl1)? From the samples it looks very good even at high ISO's. RX100 does a decent job all the way up to ISO800. Forget the sensor... It's a compact f/1.8 lens!! WRONG! it's a new design lens specifically for the large sensor - that's why it's only 3X zoom; to make it greater, the camera wouldn't be pocket size. Sony Germany delivers at begin of July. Sony seems to be making a serious attack on visible diffraction, with this camera. I find it noteworthy that Sony chose not to include f/5.6 and larger f-numbers with this lens - given that it stops down no further than f/4.9. Big sensor and fast lens = less vulnerable to diffraction. I just saw some sample photos taken at f-Numbers greater than f/4.9. It would make absolutely no sense for a manufacturer to limit the aperature artificially just to avoid diffraction. If could make sense in a full auto mode for beginners who don't know what aperature is, but educated users should be able to decide when they need to close down further regardless of the slight decrease in IQ.
" but educated users should be able to decide" - and therein lies the deficiency I was hoping they had addressed. I shoot with FF dSLRs for 90% of my work, and rarely stop down below f/11. The effect of out-of-focus is far more pleasing than the mushiness from diffraction. HOWEVER: sometimes I need to stop down to f/16 or even f/22 or f/32 when I need to drag the shutter in not-so-low-light (think motion blur). Sure, I could use an ND, but don't always carry one. So there is a use to having smaller f/stops, even in compacts. Based on these samples which compact camera has best DOF out of all of those in the video above. What are the dimensions we should be comparing these cameras on... who is ready to start a table? Have you looked at the one on the first page of the preview? This gives sensor dimensions (with a diagram) and equivalent apertures, so you can work out which will give best control over depth-of-field. Not sure what you mean by "best DOF". You'll get the most depth of field out of smaller sensors and/or higher f/stops, and the shallowest with larger sensors and larger (lower #) f-stops. If you calculate the actual physical size of the aperture, you can compare depth of field range between different sensor sizes, though it's also affected by pixel density on the sensor. Actual physical focal length divided by f-number gives you the aperture size, but "better depth of field" doesn't say whether you want a larger or smaller depth of field. In reading the Cons on IR, there are two things I really don't care for. The first is no remote. This is not such a big deal if the self-timer goes to 2 sec and most do. But the one i really dislike is USB charging of the battery. Ugh. This is unfortunate as it makes charging a second battery cumbersome at best. Not a fan of in camera charging at all. At this price point, a charger should be offered. Buy a third-party charger from ebay then. I am sure they will show up. They already exist, search for NP-BX1 charger. well for me the lack of internal charging through usb was the main reason for _not_ buying a canon s100 since i prefer to travel compact and carry as little as possible with me. I think this is more of a marketing excercise of mega megapixels in a mega sensor in the smallest box. The cost is the slower aperture at maximum zoom which would put me of buying it. A 2/3 sensor with a lower pixel count and a fast lens throughout the focal length range would seem a much more sensible design. You mean like for example.. an XZ-1? The real aperture (equiv.) at the long end is slightly faster, at the wide end it's 1.7 stops slower. To equal the light gathering capabilities of the RX100, it would have to be about F1.0 at the wide end. Plus the larger sensor of the RX100 will have a benefit of offering more DR (even if sensor tech was equal, but it isn't so the difference is likely to be more than a result of just size difference). Love the XZ-1, but I think I have to give the IQ nod to the RX100 when comparing both cameras at base ISO. And only 720 HD on the XZ-1. XZ-2 is coming but it will have to be pretty spectacular. Isn't the X10 quite similar in this regard to the XZ-1? The XZ-1 has an aperture of F2.5 at the tele end too. But don't forget they use much smaller sensors, hence why I translated that back to equiv. apertures (based on actual size of entrance pupil). The X10 has a slightly larger sensor than the XZ-1, but the difference with the RX100 in terms of light gathering capabilities is still quite similar. If we'd translate the apertures from the X10 to RX100 format, you're talking about respectively (X10 vs RX100): F2.9-F4.1 vs F1.8-F4.9. So a difference at the wide end of about a sop and a third in favor of the RX100, about half a stop in favor of the X10 at the long end. I am presuming the sensor size makes getting a fast lens more difficult. From my point of view I would prefer a smaller sensor if this means a brighter aperture at long focal lengths for taking indoor pictures of the grandchildren. I had a XZ-1 but did not like the image quality and the Fuji X10 does seem the ideal compromise but not with the rather eccentric EXR sensor. The XR100 seems a brilliant concept but the lens is already down to f3.5 at 53mm which is a pity. Not the strongest camera indoors I would think but useable I am sure. I'll say it again: small sensors have a huge marketing advantage. Looks like we will be stuck with tiny sensors for a long time, there is simply no incentive for camera manufacturers to build slightly more expensive better camera's with larger sensors if people judge them as inferior. I really think it might change. Haven't MILCs gained popularity for having bigger sensors?. Most users stick to kit lenses. Notice also how Pentax Q failed. It seems people are starting to know what does sensor size mean. I don't know anyone who judges larger sensor cameras as inferior. But, small sensors have traditionally have had an advantage for lens designers as they allow for huge zoom ranges and smaller lens barrels, not to mention thinner bodies. And camera makers seem to sell cameras for the average use case and use, not for the enthusiast. Besides that given the same resolution, larger sensors only give a DOF and light-gathering advantage, and the average snap shooter printing to 8x10 don't really care about these things. just look at all the discussions about APS-C vs FF - there's usually at least one person that judges larger sensor as inferior. I think the size of the sensor in camera has been determined by the megapixel number they wanted to market. To get a good quality at this sort of pixel packing it was 1" which was also a good marketing point. This has however compromised the lens making it pretty slow for a modern top end compact. If you look at a light meter it says nothing about sensor size, just the combination of aperture, shutter speed and ISO for correct exposure. This means indoor without flash you are going to have to push the ISO or slow the shutter at f4.9 and already at 50mm it is down to f3.5. Given that pixel packing pushing the ISO is not going to be as good as if the sensor was less stressed by its pixel size. When I first saw tis camera I said wow but that lens is slow and purely I think because cramming in the pointlessly high megapixels was the main driver of the design. People seem to fuss about tiny sensors but see no problem in tiny pixels. The problem is that people consider an f1.8-4.9 lens on a 13.2x8.8mm sensor to be 'slower' = inferior than an f0.9-2.45 lens on a 6.6x4x4mm sensor. As long as this misconception exists smaller sensor camera's will be considered superior to larger sensor camera's with equivalent similarly sized lenses. I am not totally convinced that the slower lens speed of the RX100 at the long end is due to the larger sensor. It might be the desire to reduce the size. The RX100 and the S100 are the only premium compacts that are truly semi-pocketable. And the Rx100 beats the lens speed of the S100 at all FL's. I think this is good marketing on Sony's part. There are people who really value pocketability and they will make the RX100 a hit. For those who care less about this, there is the NEX series. This could have been a perfect replacement for my ageing small pocketable back up camera, a Ricoh GX200, except for one glaring omission. It does not have a mountable eye level viewfinder for use in bright sunlight or for stick in the muds like me, who hate using a camera at arms length. That means I will probably go for either the Nikon V1 or Canon G1-X, even though they are a bit on the large side. 1080/60p. The Nex-5N and the Nex-7 already have problems with that. This camera seems to be even smaller. So does it overheat? Unlikely due to the size... bear in mind the iphone 4s and Nikon sensor is Sony and have no such issues. It not a sensor size issue. The iPhone 4 and Nikon 1 don't do 1080/60p which is a demanding frame rate/resolution. Anyway, I hope not as this camera will make a fantastic B roll camera to use alongside of my D800 for super slow-mo shots. These cameras have APS-C sensors. They are four times the size of the RX100 sensor and require considerably more heat dissipation. Yet the 5N body (near the sensor) is the same thickness as the RX100. Here's guessing the RX100 will fair much better heatwise. like a perfectly reasonable approach to me. The point is that the Nikon V1 does high ISO much better than this Sony RX100. Yes, I have raws from both. Comparing them at iso 1600 on imaging resource's comparometer, it's a pretty close call. The nikon might look a little cleaner, the sony might look like it is retaining more detail. Hard for me to pick a clear winner. Look at them both at base iso, though- the Sony's details mop the floor with the Nikon. If it's a lot better at low ISO, and about the same at high ISO, I call that a win for Sony in my book. If you have RAWS from both, show some crops at equal output size to back up your claim. Should be funny as I already compared the RAW files myself and know the outcome. I'm very much concerned and surprised by the image quality of image 2008006.jpg (the one with the two birds). If one is looking into the patches of grass it looks to me as if this camera would already need noise reduction at ISO 125. I have no other explanation for the smeared out patches of grass. The same holds for image 2011772. It is really annoying. I don't see how to post images in this thread, but I added the example I'm looking at to my gallery for you to see. I included matching crops of the imaging resource originals, showing the wheel of fabrics. I feel its a fair comparison, and I definitely see more detail in the Sony shot. If you have a better example that shows something different, please share them! It helps to be well informed if I'm going to drop $650 on a compact. I was talking about the claims from Howabout RAW. I agree with you about the jpegs, no penalty for the extra megapixels for a given output size at high ISO and a benefit at lower ISO's. As clearly shown by Imaging Resource. Ah, fair enough. In that case, I agree! Hi shlam, you are right, it's the result of digital zoom and I'm very much relieved. Looks as if the RX 100 is a really great camera. I'm quite curious to see RAWs. It stinks that Sony used this 1'' sensor as a way to get up to 20MP and not as a way to primarily bring IQ up. There really should not have been an issue with them dropping MP. Even Nokia is not afraid of ending the MP race with their 808. That Nokia 808 is likely to be a joke. 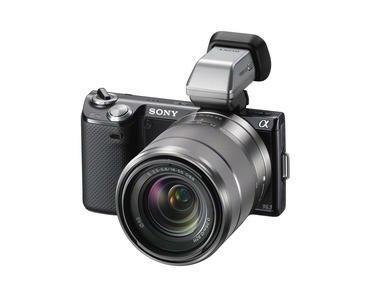 Though you are correct Sony should have done about 12MP--so this RX100 could be used indoors sans flash. The 20 MP are not a real problem. Oversampling the lense resolution has the advantage of a smoother interpolation that is needed for removing CAs and image distortion. The bigger noise is lateron removed by necessary averaging algorithms that have to be applied for reducing the image on a size fitting to your screen. ISO 1600 is about what I figured the last good setting would be for the Sony. And given what I've seen from the Sony ISO 3200 raws, I'm correct but await better raw extraction software before claiming proof. As for the equal crop (really equal dpi) trick, yes that's one data point. A much better thing to look at is the evenness of the noise/grain pattern. The Sony RX100's is irregular at ISO 3200 and the Nikon V1's isn't. Again time and better raw extraction software may improve the now unusable Sony RX100 ISO 3200 raw. No I will not be posting cropped proofs. If by "smoother interpolation" you mean more blur, less detail, less sharpness, and weaker colour quality, then yes. And I note that above you're commenting on jpegs. So you call the RAW files unusable (because you haven't managed to create a good colour profile apparently) but you do draw conclusions based on those files, against the Sony. Ironic indeed. Especially since you're also unwilling to share your comparison. HowaboutHotAir. Your ignorance is really on display here with claims about a colour profile being the solution. From the raws I can extract, at high ISOs, the Nikon V1 destroys the Sony RX100, for noise, and evenness of colour gradation. No great surprise, given the 20MP problem burdening the Sony. The only thing that is destroyed, is the shadows in the J1/V1 RAW files thanks to RAW smoothing (as also noted by most reviews). Looks like jpeg like smudgyness rather than the usual grain type noise. There, that's more than talk. Direct RAW conversions, no NR, no sharpening. You obviously don't know how blackpoint, colour profile and gamma curve affect visual noise. You're looking at jpegs? Are you joking? Again: Jpgs, really, no one who cares about colour, noise, or detail bothers to even look at jpegs. "That Nokia 808 is likely to be a joke." It isn't a joke. The optics is freaking good and does deliver at least 20 Mp even in the corners and true 38 Mp in the center. That is, even if it turns out to be a bad high ISO performer (currently, no true noise tests have been published, as opposed to resolution tests at, say, http://www.iphonelife.com/blog/87/mwc-report-iv-exclusive-nokia-pureview-808-high-iso-images-binned-resolution-tests-vs-panaso ), it can still be used as a great landscape (low ISO) camera. Like ET2 said, I was clearly talking about RAW. Hard to imagine how you missed that part. "Looks like jpeg like smudgyness rather than the usual grain type noise. Do you see now that you're writing about jpgs, I don't dispute that you started with raws, in some cases. Choosing a black point doesn't magically make the noise go away, that's only going to happen with less sensor noise and a camera processor that can identify noise well and keep it out of the raws. By that argument, you could pick a black point anywhere in the processing and get rid of noise--aint how it works. As I have already written better raw extraction software may save the ISO 3200 raws from the Sony RX100, but it aint looking good, unlike with the Nikon V1 at 3200. Try finding the "black point selector" in ACR 6. Now if you mean the white balance tool, that doesn't do much about noise. A really good lens will not make up for the fact of the extra noise from the sensor. Also unlikely that the Nokia shoots raw. Now what could hypothetically make up for the problems of cramming so many pixels in a such a tiny space would be a near magic processor inside the camera; this would have to be a processor able to short out almost all noise and heat errors from the sensor. Somehow I don't think a Nokia phone is going to be the first place this tech shows up for public use. A simpler solution to improving camera phone photos would be fewer pixels and the ability to shoot raw. Some people gonna whine on RX100 simply because they hate Sony label on it. Regardless how good camera that is. Above you can see one example of such person. If you think you can find an appreciable difference with TIF's or the likes, be my guest and show us what YOU have been staring at, since you have such firm claims. Your comments about blackpoints are way off too btw. A blackpoint (high one for example) can clip away tons of shadow noise. A too low blackpoint will lower contrast and *percetable* noise too. It's been well described how certain cameras (won't mention the brand) had a blackpoint baked into their RAW files that cut off some of the shadow noise, but which also made them less useful for long night exposures. And your whitebalance comment is off too, since the whitebalance directly influences the amount of noise (and possible colour clipping and posterization) in *each channel*. I like the A900 and the Nex 5n. And the SLT's live view is helpful. No, Sony has made another technology cramming mistake with this RX100. This isn't a new mistake for Sony to make. More like: you made another assumption without checking the facts. Are you going to share your raw comparison with us already, or what? At a certain point, you need to show some evidence to back up your arguments. From what I can see, there is practically no difference between the image comparison of the 20MP RX100 and the Nikon J1 with same size sensor at 10MP, at ISO 1600 and 3200. Speaking of the Nikon D800, D4 and D3s, I've printed from raws from each camera, and shot with the last two. The D800 struggles at ISO 3200 outside of bright areas; the D4 and D3s have no problems at ISO 3200--zero. That's not pixel peeping--that's a real conclusion based on real files printed on the same printer. Generally, I see no reason that the same basic rule would not hold true for the 10MP Nikon 1s versus the Sony RX100. You do have a point that the Zeiss lens may make up for some of the high ISO failings of the Sony RX100, but from the RX100 raws I've seen the Sony needs help at higher ISOs. Yes, according to some test here at focus numerique, the 20mpx is better, but with 12mpx and less pixels density, it was even better, while beating the nikon in pixels count. I prefer less pixels count and better high noise detail endition than 20mpx only usable at base iso and noise in shadow. Raw comparisaon here http://www.focus-numerique.com/test-1454/compact-sony-rx100-bruit-electronique-12.html. You find raw for rx100 and nikon. Right and the 6400ISO raws from the Nikon V1 sure look usable, unlike the 3200ISO raws from the Sony RX100. @HowaboutRAW at what size did you print D800/D3/D4 RAW samples? 300 dpi on to letter sized photo paper. Sorry, imaging-resource and this is the link, it's a huge article- the iso results are near the end. Could have been great. The samples I've seen from image-resource, show superb results at low ISOs but at 1600-3200, detail falls apart or is smudged to death. There was NO need to go to 20 megapixels! This would have been the camera Nikon should have produced instead of the J1,V1but now, I wouldn't touch it. Speaking to TechRadar, Frederik Lange, senior product manager at Sony, said: "We did a lot of research to understand what is driving a consumer to buy a dedicated image taking device, and it is image quality that is most important." Really? I think it's the more pixels are better fallacy that's driving consumers and who are the manufacturers to argue. I wish this madness would stop and I hope this camera bombs or we're all in for a massive megapixel war. Nice irony that Lange quotation. Sony rep to me: "The A77 is near noise free at ISO 6400." It aint really usable at ISO 6400 let alone noise free. Sweet little thing, this camera is worth 'Tweet-ing' and have I just pressed the 'Like' button too? 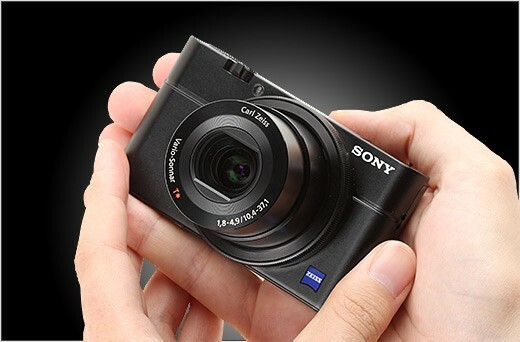 No question, this new Sony camera is capable of taking excellent photographs in a very pocketable size. By reading the review the reader is getting the impression that noise would be a matter of detector size. This isn't true. A smaller focal length leads to a higher density of light in the focal plane and this compensates the smaller detector size. Noise in photography is related to the quantum nature of light and not mainly a property of a detector. Noise depends on the IFOV of a detector element (angular resolution) and the aperture of the lens. Larger detectors allow in general lenseses with larger aperture and this is the reason for lower noise. So a more densely pixel packed detector confuses the light resulting in more noise. So that whole bigger sensor holes thing is true--really now! Seems to me that pixel density on the detector would still be a property of the detector, and a property which would in fact agree with your point about the discreet nature of light wave detection. Noise is determined for a given angular resolution and shutter speed by the lens aperture and not by the size of the detector. The aperture of a lense is given by the focal length diveded by the f-number. Attractive apertures are those less than 4 mm and larger than 20 mm. Apertures less than 4mm are close to the aperture of the human eye and are giving your images a similar huge depth of sharpness. Apertures larger than 20 mm lead to a very narrow depth of sharpness so that the object of interest is crisp sharp while the rest is clearly out of focus. The range between is less attractive because large parts of he image are blurred without being clearly out of focus. One has only to look at the example images. Following your argument there is no advantage of large sensors from noise point of view. I have my doubts. Larger sensor capture more photons due to larger aperture of an adequate lenses. Alone from this point I would expect less noise. On the other side the semiconductor processes of the sensors are far from perfect. With the larger lenses and high costs we also buy sensors which are less affected by spot noise and sensor production inperfections. Your summary of what a large aperture lens can purportedly do or not do seems more that a bit contrary to actuality. Yes, your points seem sound. Strandlaeufer - I have the impression the density of pixels on the sensor is the key determinant of noise, all other things (aperture, light level, sensor type) being equal. As a practical matter, manufacturers have to pack small sensors with a much higher number of pixels per square mm, and smaller detectors generate more noise when respond to lower light levels. Sensor size would be irrelevant if one compared two sensors of different sizes that had the same receptor density. In that case the smaller sensor would necessarily have few pixels. The Sony's lower density vs. a typical point & shoot should result in lower noise. You would be comparing pixels rather than images. At an image level, the larger sensor would still win. Example? Compare the D3200 with the V1. Almost the same pixel density, but the D3200 is cleaner at ISO 6400 than the V1 at ISO 3200 for a given output size. Why? Because the sensor is more than twice the size, thus resulting in more than a stop better noise performance. Say what? Back up your words with some proof. What I just explained through a clear example, contradicts your endless theories about pixeldensities. You so nicely made the point for me directly above, thanks. Irony, that you do such a good job making my exact point, which elsewhere you just can't accept: Sony has denied itself a market here. That's the market for cameras that can do things other than daylight landscape pictures. Again: Thanks for the support, now buy Fuji. You apparently didn't understand what I wrote. The key driver is sensor size, not pixel density. As also shown by the J1 vs RX100 comparison (from RAW) I posted yesterday. Yep I misread your point about the Nikon D3200. However Nikon does a much better job with noise and Sony sensors than Sony--for example the D3x versus the A900--there was a reason for that extra $5000. Nope, you brought up jpegs in the J1 versus RX100 claims. NB:I was commenting on the Nikon V1. As evinced by my misreading of your Nikon D3200 claims above, we all make mistakes. I assume that Imaging Resource has raws from D3200 and that ACR 6.7 will extract said raws. Typical debunked nonsense about Nikon again. The D3X had an improved version of the A900 sensor (it came out later and you paid for it...), but also one that sacrificed colour accuracy over low light sensitivity at higher ISO's (the A900 had much better colour separation, for which you'll find agreement in the Nikon forum and DXO measurements). The D7000 was not better than the A580 carrying the same sensor. The D300S is no better at high ISO than the A500, etc. Verifiable facts. Selective quoting from my messages doesn't make you right. I was talking about the RAW files, mentioned the word RAW twice and posted the converted jpegs, since posting non converted RAW files would be of no help to anyone. Key difference compared to claims with nothing to back them up, as you did. Tiffs in fact would be helpful, why would you imagine otherwise except to limit your conclusions? I never imagined that you hadn't started out with raws, it's just that you chose for no good reason that I can apprehend to go to jpegs. News to me that the D3x does not use the same sensor as the A900. And at low ISOs I think the A900 is really good. I looked at the raws from the Nikon D3200 and processed to dng then to tiff with ACR 6.7 those pictures look great, not so when processed to tiff directly with UFRAW. Of course at high ISOs the Nikon V1 also looks good. Try not to quote DXO "scores" to me, I look at photos. One big thing missing from a DXO score is lens quality. Imaging resource has noted a few issues with the colour performance but they don't seem to show up much in the posted samples on here. Nice one Sony. First Sony camera for a while I may actually spring for. The focal length range and physical size of the lens are achievements. From what I see so far, the image quality of the lens is less of an achievement. But the Sony guy is right. Consumers want a very small body, wide range zoom, lots of pixels and some will even be aware that a larger sensor is good. No detents on the control ring. I can't even stand using a mouse wheel without detents. The main thing this review provides though is hope - that one day, perhaps, just perhaps there will be a Sony R2! RX100 = R2. Likewise, the HX and WX series are successors to the earlier H and W cameras. Or, at least, the RX100 the only reincarnation of the R series you'll live to see--or want to see. The RX200 will go loco on the pixels, but be pretty much the same as the 100. I guess this sensor will take place in a high end bridge. With a faster and wider zoom range. Exactly! So far, the R1 has been the only Sony camera I *loved* - other cameras all had some major problems (e.g., low IQ (16mm) / huge (18-55/18-200) wide lens for the NEX series; worse high ISO for SLT models etc., and the IQ of ALL their P&S cameras have been extremely bad). Now, the RX100 is my new love and will purchase it as soon as it hits the shelves. Hope it delivers in the DPReview test as good as in that of IR. But... physics denotes that the RX100 will never have the beautiful DOF and Bokeh of the R1. Please Sony re-release the R1 with an updated back... I will buy 2! So excited about this camera. Being a DSC-R1 and now Sony A77, 5n and TX9 user I have waited for something more pocketable to complement these camera's with a medium sized sensor and a carl zeiss lend. F2.2 would have been fine but with F1.8 with a Sensor that size I think Sony has surpassed everybody's expectations. The 5n and tx9 and maybe even the R1 will now be sold to make way for this baby! Surely the Nikon V1 and J1 will be hitting bargain bins soon... Nikon, when it comes to compacts and mirrorless you get it oh so wrong... as for canon, compacts yes. Mirrorless no. Why? The Nex 5n is a much much better camera than the RX100, particularly with other manufacture's lenses. The Nikon 1 series has the big advantage of fewer pixels. And a really fast autofocus. Too bad about the high ISO performance of the Sony A77. But it's just too big... to be honest I'm disappointed with the sensor size on this. Yes you're right the 5N is better... but it won't fit into my pocket! Thinking about it I may just stick with the R1 and A77! Does anyone know at what focal length the lens no longer has f1.8 as it's max aperture? It is in the preview (body and design page 1). As ever comments are about what it doesn't have, lens is a bit slow at the long end compared to F X10, which would work toward levelling the performance advantage of a larger sensor. build one with flip out screen and an optical VF to make it a prober street photographers camera and i would be more interested. What do you mean for "this sort of camera"? Nikon 1 is a huge brick (bit's bigger then some of NEX cameras which have APS-C sensor!) with large, dark lenses. Sony have hit the right size for compact. Nikon has failed miserably with a size for mirrorless. @Plastek If you think the Nikon 1 is a huge brick you've obviously never used one or even seen one. The J1 is absolutely tiny, and the lenses are significantly smaller than Sony NEX lenses. Sony only hit the right BODY size. Their lenses are huge which is the main reason I'll never buy a NEX as much as I like files from the NEX-5N. As far as bright lenses, it took Sony 3 years to release their gigantic f1.8 lenses (50 and 24 1.8). "huge brick" may be an exageration. I have seen and held J1/V1, and they are indeed bigger than NEX. And going by the appearant size of RX100 (I have not seen one in real life), J1/V1 is much bigger, especially considering the lens apertures. I think Nikon showed us how good this size sensor could be, but Sony actually used it in it's proper setting. The moment I read about Nikon 1, I thought, great sensor, when will it get a proper home (in a compact, built in lens camera). IMO this sensor is too small to bother putting in a ILC. Once you start swapping lenses, pocketability is out the window and there is no other point to go this small in a sensor. With Sony it finds it's perfect home, improving the image quality of true pocket cameras. I think by "this sort of camera" I am talking about something that can output something approaching a digital SLR but making as few compromises as needed on quality and be pocketable. I agree with Jimmy. There are aspects of the Nikon 1 like AF speed and accuracy via PDAF and fast FPS that a camera like the RX100 may not be able to compete with. You watched the preview? Seeing it I doubt there will be any issues with AF - it's much better then in most of compacts and several mirrorless cameras, but of course - we'll need to test it ourselves to tell much (or read a review if you thrust them in this matter). Nikon 1 didn't have any outstanding AF and half of it's performance was hidden by sensor size and low-aperture optics giving relativity large depth of field. And yet still it was worse then some of m4/3 cameras. Which is just pathetic for an ILC camera from one of leading manufacturers. Yes, it was good enough, but all facts considering you'd expect beeding-edge performance which Nikon 1 system was far from. Sony got it bit more difficult task with f/1.8 in zoom and only CDAF - but as for a tiny portable compact it has a chances to be easily able to compete with Nikon 1. I'm an enthusiast photographer and I've been looking for a small but capable travel camera. I'm travelling with bicycle so size and weight matters. I also have high requirements for the image quality. This new Sony is about to enter into my shopping list with a small size, 'big' sensor, fast lens and an ability to shoot RAW. One thing that I miss is an optical viewfinder because I'm used to shoot with digital SRL cameras but it's ok as long as the screen is good. I'm waiting for the review to see how this new Sony compares with it's rivals. People- if you want a camera with a tilting lcd, a viewfinder, a hot shoe, a grip....this isn't the camera for you. They didn''t make a mistake in omitting them, if you ask me. If sony added any of those, it would be an identity crisis for a model that has a well defined purpose- the smallest, most streamlined camera they could make with a big sensor and fast lens. If they made a camera with all of those features, it would not be a compact. Rather, it would basically be a resurection of the R1. I think it could be a cool camera, but the original R1 did NOT sell well. Maybe if this is a success, sony will follow up with such a camera? Take this rx100, add a hotshoe, EVF, NEX tilt screen, grip, and maybe a zoomier lens (the original R1 was 24-120 eq. ), and voila! Sony R2. Then again, you'd be closer in size to the G1x or X10. It's all a matter of preference, but me- I think this one's a winner. Agree, except for the tilting lcd. For me it's indispensable for a camera without vf and it doesn't make the camera bigger. @Miwok, you can say "agree, except for..." wIth all these things that are not on this camera that people are wanting. Everyone can "agree, except for..." that one thing that they think is "indispensable" to them. As for the tilting LCD not making the camera bigger, even the Oly E-PL3 (which has a tilting LCD) is made slightly bigger (thicker) because of its tilting LCD compared to the E-PM1 (which doesn't have a tilting LCD. Sure, you'll probably make the argument that this added thickness is forgivable because it's "indispensable" to YOU. But then everyone will be making the same argument for the one thing that they find "indespensible" to THEM. Lol. just get a hoodman loupe for 3 inch lcd. i have been using it on my s100 and it is better than a digital viewfinder or tilting screen and stabilizes the camera to my head and hands. I agree with rpm40, except I would have liked just a little bit of grip. Small enough grip to not compromise the smallness yet be big enough to comfortably hold it safely. Agree with Miwok. Tilting screen on NEX is great and would have been a great addition to this camera. Per-pixel noise characteristics of RX100 will be similar to Canon S95. By your logic, my 8 year old 2MP camera has comparable image quality to the new RX100. Stick your head out of viewing images at 100% crop and downsample to equivalent crops and tell me whether you think the S95 image quality is comparable to the RX100. Thanks for the math, but geez, go out and take some pictures! This is a perfect example of how "photography" can be over-run by techno nerds and scientists, taking it away from an art form and making it more about numbers and percentages. Let's not forget that at the end of the day, it's really about the photos, not the numbers, percentages, mathematics and calculations. Take into account downsampling the Sony to S95 sizes and you will see the quality is much superior to the S95. I was interested after the DPR images, but now that I've seen the samples on Sony Japan, I really wouldn't mind having this camera at all. wow these samples are stunning. What the problem with the samples ? I can see some blue dots in the two girl hair and smudge area in the hair, but only at 100% and close look. It's good skin tone and colors. On the first girl, you can even see the rx100 in her eyes. The "Pont-Des-Arts" photo show good DR, between the white cloud, not burned and detail in the the black suit, again with some blue dots at very close inspection. The "Hotel de Ville" of Paris" night shot is nice too, showing some deep shadow detail while not totaly blowing highlight. For a compact camera, it's a very good result. A agree the Pont-Des-Arts image really caught my eye for the DR, as did the portraits of the pretty ladies. Excellent detail. I did notice on the TechRadar samples images of the football match, the ISO 800 JPEG has a bit of watercolor look at 100%, but this won't be seen in the RAWs nor is it visible at normal viewing size. I disagree. In bright light, a viewfinder is indispensable. I don't care how bright their screen is. Yes, it would add height, but the tradeoff might be worth it. Neither argument (for or against) is definitive. I don't think anybody here has trouble composing images on a good LCD. As far as bright light, if the light is that bright, you probably shouldn't be taking pictures as they'll likely be so-so anyway. It's called The Magic Light for a reason. That said, if you are taking travel/tourist images, I have a wonderful folding LCD hood on my Ricoh GRD (Delkin), and it really blocks the sun well. Believe it or not, millions of people worldwide take great pictures with digital cameras that don't have viewfinders. They've been doing so for many years now. Plus, not all photography is done during bright noon daylight. Furthermore, there's really no need to hold these cameras "at arms length", as some people seem to think. In fact, I would call that bad technique. Also, with these small cameras, it's so easy to hold the camera with one hand, while shading the camera back with your other hand. And in doing so, you still get to see 100% frame coverage as opposed to around 70% that you get with a peephole optical viewfinder. A viewfinder, OVF or EVF, is a matter of personal preference. I happen to prefer it. Sony chose not to do it. Lack of VF didn't stop me from buying an S-90, which is my go-to camera almost all the time. But at $650, I think I'd like to have one to motivate me to upgrade. Either that, or the IQ had better be mind-blowing (as I found it to be on the Fuji X100 - just wow), because the S-90 is already pretty darned good. Finally a substantial step in compact camera IQ since the launch of Fuji F30. But the price is too steep. Is it actually a Carl Zeiss lens. I think its a licensed lens. The way you can tell is the Word lens is missing on the lens front. The word Lens can't be used as it's not an original Carl Zeiss lens. A little trade secret on the market that more people are getting to know about. As for the rest of the spec it looks good and I like the design. Are you crazy, or just delusional?? Talk about half-baked theories. In 28 years of REAL marketing (management) experience with major corporations from GE to Toshiba, I have never heard (or seen) such garbage on "licensing". So I guess according to you, all my "Nikkor" only marked lenses are fakes too because they aren't marked "Nikkor Lens"? I wonder if it's made by Zeiss Oberkochen or at Zeiss Jena. Just kidding. But, if you gave people a choice between an average quality lens marked Zeiss or Leitz and a truly spectacular lens made by some company they never heard of, which would they choose? "Although the lens on the new Sony RX100 is produced by Carl Zeiss, Lange* said that the design and engineering was completed by Sony in-house." Well, each KFC outlet "engineers" its own fried chicken, but all supposedly according to the instructions of the deceased Harlan Sanders, who was an honorary colonel of the Kentucky militia. Names, titles, brands, and whatnot have a very diffuse (mongrelized) pedigree. There was a time when you had to trust blindly the reputation of a brand. Fortunately, these days, we can see it all without even having the camera in our hands. The bottom line is; look on the pictures and the test charts this camera can deliver. No arguments that the images are good. I just like to know exactly what I'm buying. Many other imaging brands actually put lens on there products to show that it's an original lens and not 3rd party licensed. There is a legal reason that some brands can't put lens after the brand name. In terms of "premium" quality - usually Zeiss lenses are premium lenses with optical designs made in germany by Zeiss engineers, Sony G are premium lenses with optical designs made in Japan by Sony engineers. That's the whole story. Both have great QC and are really stunning pieces of glass. Every Zeiss lens in Sony cameras have generally been better than G's. Without exception to be honest. Anybody disagree? I have a HX9V too and debating whether I should trade in for RX100 but then I love the HX9V. Think seriously. What will you get from the RX100, that you don't have already with the HX9V, other than a $650 hole in your pocket and a battery that recharges only when in the camera? The RX100 video probably has more moiré, aliasing, and rolling shutter, precisely because the sensor is larger and crammed with too many megapixels. Better stills and video is what you get, thats the point. I also have a hx9v and I am using it when not using an SLR. I also have an s95 that is great, this would be THE camera I could use when not wanting to lug an SLR. Who is this camera for? I can see it as a nice second camera for a serious SLR user as a carry-around perhaps, but anyone with photography ambitions is likely to go down the SLR route for this kind of price. For the rest there's always the camera or your phone/cheap compact. > anyone with photography ambitions is likely to go down the SLR route for this kind of price. No necessarily. Me, for one, wants something small and capable. A good example would be the Rollei 35 (for those who are old enough). Answer: the RX100 is for someone with deep pockets, but not deep enough to fit an SLR. I've developed the habit of taking one slightly exotic lens (wide angle, macro, tele, or large aperture prime) on my DSLR and using the S100 for all the other inbetween shots. The lack of decent multi-shot models on the Canon, plus a slight mushiness to the shots compared to the DSLR are the flip side to this arrangement, so I've been willing Sony to come up with something like this! After trying a Fujifilm X10 with a strobe in the hot shoe, I've no further interest in a shoe on a compact. Though it worked, that was not a comfortable marriage. My small(ish) cameras have been a G10 and an X10, neither of which satisfied enough to keep. This one is interesting, being smaller and promising better IQ. Looks like a great little camera and the sample images looks very good. Seems promising specs wise sample images seem great. I might have found a replacement for my f70exr. Hope to hear from other sources in the near future. Hotshoe on a compact that you can hide in your hands. Am I suppose to hold a thing like that by flash gun, or a camera? People asking for a hotshoe on something this size should smash their heads into a wall. Another advantage of not having hot shoe is that the top is smooth, there is nothing to tear insides of people's pockets. This is important for a camera which is intended to be pocketable (but already pushes it). G1X and even X10 are not really pocketable. You guys are thinking Canon 580 EX though. We're talking about a small flash and EVF like the one for the NEX-5N. I don't want to buy into the NEX system though. I just want a camera like this one (RAW, some zoom, good IQ, pocketable for 75%+ of the time I'm not using the accessories) with the flexibility to add some accessories if required/wanted. Because cameras are getting smaller, we must now forgo creative lighting? Usually, people who utilize only available light don't yet understand how to use strobes. So I say learn to love the hot shoe so you'll at least have more options. @looker, if you want to be a full-on strobe and "creative lighting" shooter, a pocket compact isn't exactly the camera for you! It's as simple as that. Besides, the on-board flash will still be fine for "creative" fill-in light. Were you seriously thinking you wanted to do bounce/swivel flash on a tiny camera like this! Any flash capable of bounce/swivel would be unwieldy on such a small camera. So get real. Yes, "learn to love the hot shoe"...but on a different camera, not a camera that is so small, slim, and light that it can easily slip inside your shirt pocket, or even inside a pack of cigarettes! You forget that many people interested in this camera will already have loads of DSLR gear, multiple strobes, Pocket Wizard MinitTT and FlexTT's, flash modulators, etc in our gear collection for "creative [strobe] lighting." But the reason why we want a camera like the RX100 is so that we can leave all this other stuff behind and get into Cartier-Bresson/PJ shooting mode! Better to have slave flash which work in infrared or radio mode. This feature can be easily done (by Sony), very small and hidden inside the camera body. Agree - hotshoe's would be silly... but all companies should introduce wireless flash capabilities into cameras like this. I think this looks fab. I want one. For a while I was thinking camera phones were going to destroy pocket cameras, but they haven't – they've made them better! I think camera phones have killed point-n-shoots for DSLR and m4/3 owners. Their big camera is their "serious" camera, and their phone is their take-everywhere point-n-shoot. I think high-end point-n-shoots like this are intended to be the "serious" camera for people who otherwise only have a camera phone. Comparisons to the G1X or X10 are invalid, those are cameras for people who want a viewfinder, a hotshoe, more external controls, and a bigger grip. Completely different class of camera. A valid comparison would be to the similarly pocket-intended S100, which the RX100 roundly trounces, at least on paper. When Canon puts the G1X sensor into a compact ("S1X"?) then we can talk about that. Those people obviously would end up better with mirrorless. Or even: a real DSLR. I don't think they are invalid comparisons. People shopping for a premium compact are likely to consider both and then decide if the larger sensor, hotshoe and VF or the sheer portability is more desirable. One could just as easily say that comparisons to the S100 are invalid because of the price difference. Not that those things wouldn't be welcome, oh hang on they are already on my NEX7 like they should be, and wait a minute its body is comparable in size to the G1x. Fair point, but you could argue that most will settle of the best compromise across all those factors. As nothing is ever everything you want. @tkbslc, that is my point, they occupy different markets. People moaning that it doesn't have a hotshoe are missing this. You forget that a lot of people who bought the G1X or X10 just wanted a compact with a larger sensor. Besides, how many of these users *really* use a hotshoe flash on these cameras? How many G1X users *really* use that peephole viewfinder on the G1X? Plus, these cameras have a greater need for a bigger grip because they are bigger cameras. No one is buying these cameras just for the grip. No they didn't, those cameras are not compact. You cannot carry one in a pocket. Maybe a large, loose coat pocket. They are as bulky as m4/3. @JackM, you forget that these are "compact" relative to the DSLRs that many of us already use. You can argue all you want, but I'm quite sure that there will be *many* people who will be considering the RX100 as an alternative to buying an X10 or G1X. In other words, they *will* be comparing it against these other cameras. I think dpreview, which has been in the business of comparing cameras for some time now, is right on the money when they seat the RX100 right alongside the other "compact" cameras you see in their RX100 preview video. Sure, some might have hotshoes, some might have different controls, but at the end of the day it's perfectly valid to compare all these compacts to one another. To call such comparisons "invalid" is a bit extreme, and for whatever reason, overly defensive on your part. Nice pictures. But do they tell us more about the camera or the photographer? Which one illustrates the advantage of the sensor and f/1.8 aperture? How about a hand-held indoor photo at a 400 ISO. Can the shutter speed be fast enough to avoid blur? Or are the results so similar to those taken with a $185 WX5 (with an f/2.4 aperture and a 1/2.3" rear-lit sensor) that you'd not notice a difference? Woh, if so then Canon G12 and P7100 are totally horrible, pointless compacts!